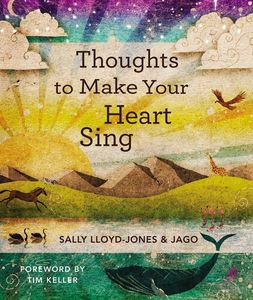 From Jago and Sally Lloyd-Jones, the creators of the bestselling Jesus Storybook Bible, comes this gorgeous and innovative collection of 101 simple-yet- profound thoughts on faith. 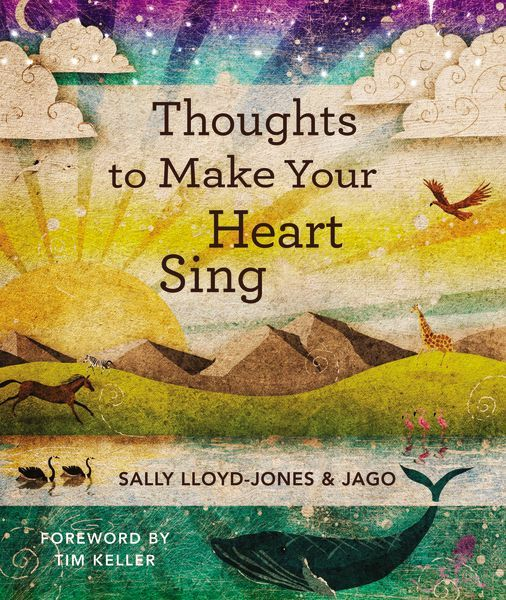 Thoughts to Make Your Heart Sing shares profound spiritual truths from the Bible told in a conversational tone--drawing insights from creation, history, science, the writings of great thinkers and preachers and writers, and more--to turn the reader's eyes toward the God who loves them with a Never Stopping, Never Giving Up, Unbreaking, Always and Forever Love. Perfect for family devotions, bedtime, story time, or even as a companion to The Jesus Storybook Bible, this accessible yet theologically rich book reveals biblical truth in word and image-all working together and designed to do one thing: to make the reader's heart sing.